Accumulating my little reviews and publishing them twice a month is boring me. So here are a few books I finished reading since my last post. 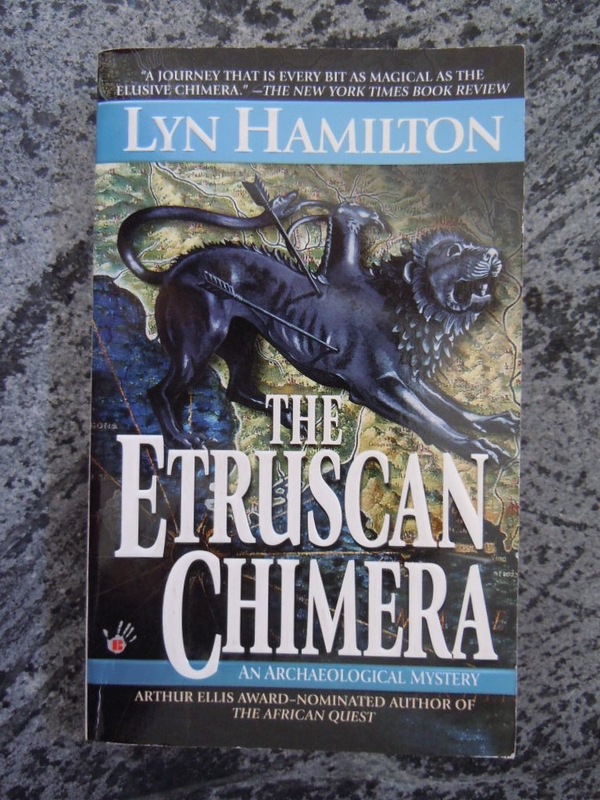 Lara McClintock is wondering why a famously reclusive millionaire would contact her and ask her to buy a piece of Etruscan art on his behalf. She meets him and is satisfied that he wants her to represent him because no one would imagine that he's behind the purchase. But purchasing the elusive Etruscan piece is not that easy. It's owned by a dying man in a wheelchair who is selling off his art to finance a trip to a secret Etruscan admiration group. Except that he doesn't really want to part with any of his things. He's found dead shortly after Lara visits him. At least one of his Etruscan pieces is missing - and turns up in the trunk of Lara's car. 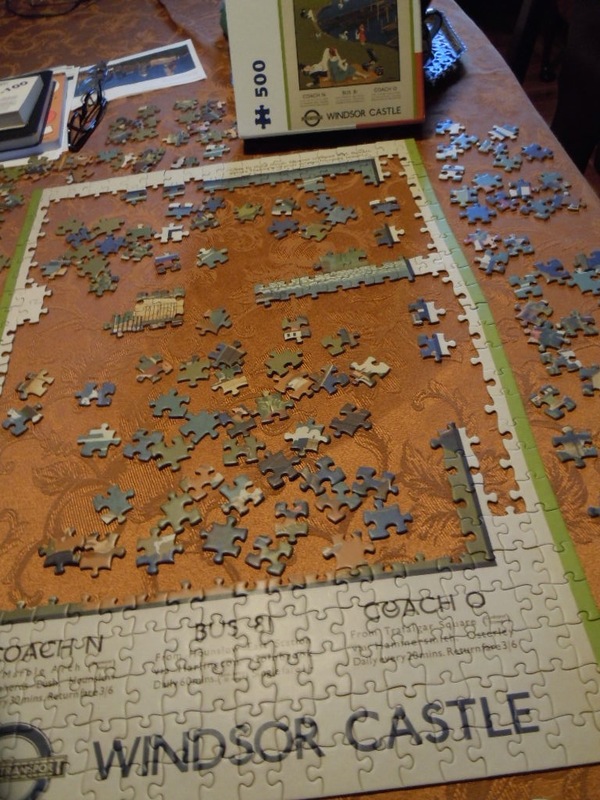 There's a lot of back and forth with the piece. It's like a game of 'hot potato'. Lara puts it in someone else's car, then it turns up in her hotel room. No one wants to get caught with it because it doesn't seem to be legal. No one has purchased it since the dead man's father purchased it, and he may not have done that legally. There are a lot of fakes around: fake Etruscan pieces and fake people. The Eturscan Chimera was a fun read, but my head was spinning by the end of the book. I am not a Romance reader. Yes, I enjoy a bit of romance in books, but I don't want it to be the focus of the story. 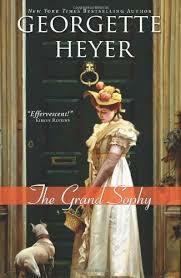 However, after reading so many enthusiastic reviews of The Grand Sophy, I bought it and read it. It was great fun! Sophia Stanton-Lacy arrives to stay at her Aunt Elizabeth's in London while her father is overseas on business. He hopes that she'll find a husband while he's away. Sophia (The Grand Sophy) has been living in Spain with her widowed father. She has quite a reputation for unconventionality and she sets her aunt and uncle's lives spinning. She gallops her horses in the park, drives her own carriage pulled by spirited steeds, she carries a loaded pistol (of ladylike proportions), and she can take care of herself. Woe to those who think she can't. Or shouldn't. Although she's only about eighteen, she is perceptive and adept at problem solving. She sees that her cousin Cecilia has made a mistake by throwing over a terrific man for an oblivious and poor but handsome poet. Her cousin Charles has engaged himself to a very proper (in her own mind) woman who believes that correct behavior is everything and that fun is suspicious. No one is with the ones they love, so Sophy decides to fix things. The ending is like a Marx Brothers movie. This person enters from one door while another exits by another, a box of ducklings intent on escape appears, an Italian greyhound dances around, a grand Spanish woman cooks in the kitchen, the poet wanders abstractedly about looking for his muse. But Sophy accomplishes her mission. As Shakespeare said, all's well that ends well. A 'perfect storm' (I survived a couple of those when I lived in New England) was predicted for this past Monday night and Tuesday. We were all going to die if we stepped outside or didn't have enough chips and beer to last for a week or two. 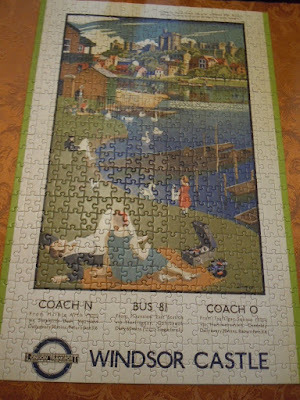 We took appropriate action and broke open a jigsaw puzzle, which soon became an obsession. In less than two days, we were finished. We've vowed not to start another one right away. Maybe next week. I've been buying them and stockpiling them (for the perfect storm), but we don't have a good place to work on them. This time, I sacrificed half of the dining room table. Here are two photos, one in progress and one of the finished puzzle. I like these old travel posters, as do a couple other bloggers I know. I love Ellery Queen, both the books and the TV show from the 1970s. 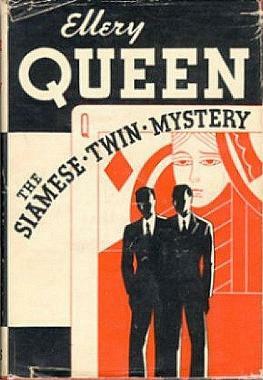 The first book I finished in March was The Siamese Twin Mystery. Ellery and his father are returning from a vacation. Ellery decides to take the scenic route back to New York City and ends up racing up a mountain to avoid a forest fire. They arrive at the top of Arrow Mountain at night to find a dead end road and a creepy house. No one answers when they pound on the door. Eventually, a man answers. He says that they were wary of strangers arriving at their remote location at night. More people appear, some very strange. They all seem tense and Ellery and his father don't know why. One of the men is a famous retired surgeon, another is his brother. Then there's the doctor's wife, another young woman, and the servants. And a mysterious scrabbling in a dark hallway and a hidden person. It's not fair to reveal too much when talking about a mystery. So I'll just tell you that there are two murders, some mysteries are solved, there are misdirecting clues, and that raging forest fire that puts everyone in jeopardy. It's a page turner. Ellery solves the murders after some complicated cogitating. I tend to think that animal mysteries are often too cute for me. 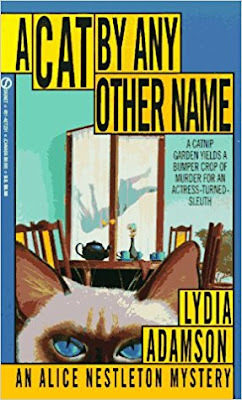 But this series by Lydia Adamson has a bit of heft to it. I bought several of the series in a used book store last year and have enjoyed this one and the other one I read. Alice Nestleton is a beautiful actress of a certain age and a cat sitter. She has two of her own cats and loves cats in general. She and some friends have been gardening in a community plot, raising herbs and flowers. They plan to sell their organic catnip. They have a small party to celebrate the harvest and brewing of peppermint tea - and one of the friends jumps to her death from the balcony during the party. Alice can't believe that the woman committed suicide. As she digs further into the woman's life, she's sure she didn't commit suicide. But she's having trouble convincing others. Alice figures out how and why the woman was killed. Her friend on the police force helps out and he and she capture the killer, who has a secret history. These books are fast reads and are fairly short. They're a pleasant break from more serious or longer fiction and from more violent mysteries. I must have read The Story of Doctor Dolittle when I was a child. I know the story, I loved / love animals, I couldn't have missed it. But, just in case, I read it again. 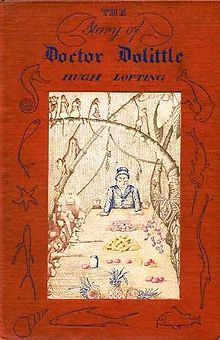 Doctor Dolittle, a kindly doctor, is always treating people for free. When his parrot, Polynesia, tells him that all animals have their own languages and arranges for him to learn them, he becomes an animal doctor. Of course, he's still kind and too generous for his own good. He becomes a poor but famous doctor. He gets a message that monkeys in Africa are dying of a mysterious illness. The monkeys ask him to come help them. He borrows a boat, loads up his animal friends, and sets off for Africa. When they get there, they're captured by a wicked king. Polynesia helps them to escape. There are a few hair-raising episodes, with the king's men on their trail, and a wonderfully original end to the chase. Dr. Dolittle saves the monkeys and then sets off for home. Polynesia and the other animals originally from Africa decide to stay there. On their way home, they're belayed by an evil pirate. They outsmart the pirate and find a little boy who's lost his uncle. Jip, the dog, smells his way to a rescue. Dr. Dolittle and Jip are richly rewarded. When they finally get back to their own country, they travel around displaying the pushmi-pullyu, who has decided to allow this to help Dr. Dolittle to earn money. The pushmi-pullyu is there at his own free will. He's a rare creature and many people want to buy him, but Dr. Dolittle refuses. By the time they get tired of touring and return to Dr. Dolittle's home, they have lots of money. As Dr. Dolittle says, money may be a bother, but it's nice not to have to worry about it. This Dutch author has at least two books that take place in Maine. I was puzzled about that until I read his biography on Wikipedia. He moved to Maine and died there. Now it makes sense. 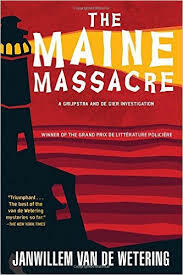 In The Maine Massacre, the commissaris (who is never named) goes to Maine after his brother-in-law dies in an accident. His sister can't wait to sell up and move back to Holland. A few of the people at the police station in Amsterdam where he works are concerned about him because he's been very ill and has debilitating rheumatism. They want someone to go with him. He refuses, but they send one of their men, Sergeant de Gier, as part of a police exchange program. While there, they both realize that there have been five accidental deaths in the last three years on a small area called Cape Orca. They can't all have been accidents. There's a new sheriff in town and he's been thinking the same thing. Together they collect evidence and piece together the solution. They have to deal with an obnoxious local gang of troublemakers and intellectuals. Plus the strange people who live in the area. They live far away from cities and towns, so they're independent and tough. The police from Maine and Holland share techniques and experience. They bring justice to the small town of Jameson, Maine. I'm finished. I'm done. Whatever am I going to do now?! All Change is the final (fifth) book in The Cazalet Chronicles. I started reading the series tentatively but quickly became engrossed in the family and their triumphs (not really that many) and tragedies (more of them). I admit that even reading the fifth book, I had to refer to my list of characters, in particular which children belonged to which couple. There are a lot of children! But the reader has the privilege of watching them grow up. Just like in real life, I liked some characters better than others. I despised some and I wanted to shake others and tell them to wake up! I could see the mistakes they were about to make and wanted to spare them the consequences. I would like to have gone out for dinner or drinks with a few of them. 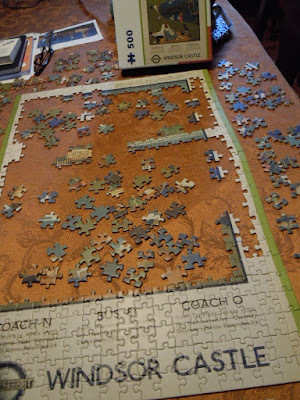 I don't want to get into much detail because I don't want to ruin things for new readers. There are marital problems for most of the couples. Some of them are worked out satisfactorily, others are not. By the end of the book, most of the adults have been married at least once and most have children. There's nothing spectacular in this series. The stories are the kinds of stories that you might hear from your friends. Or might have yourself. I know there are other family sagas out there, but I'm not ready to commit to any of them just yet. I'm still living with the Cazalets.